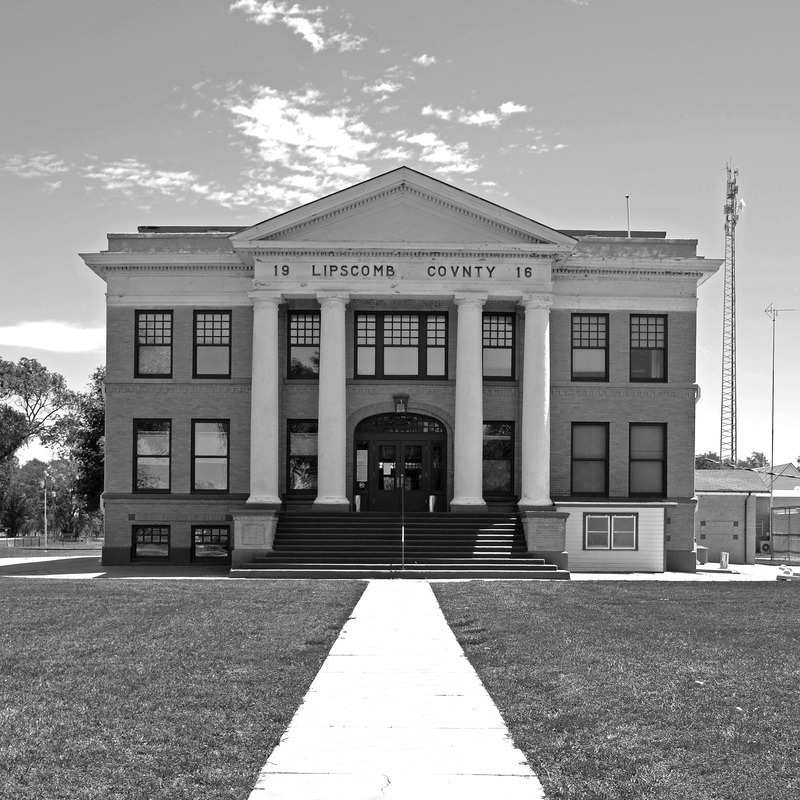 "Lipscomb County, in the far northeastern corner of the Panhandle, is bounded on the north and east by Oklahoma, on the south by Hemphill County, and on the west by Ochiltree County. 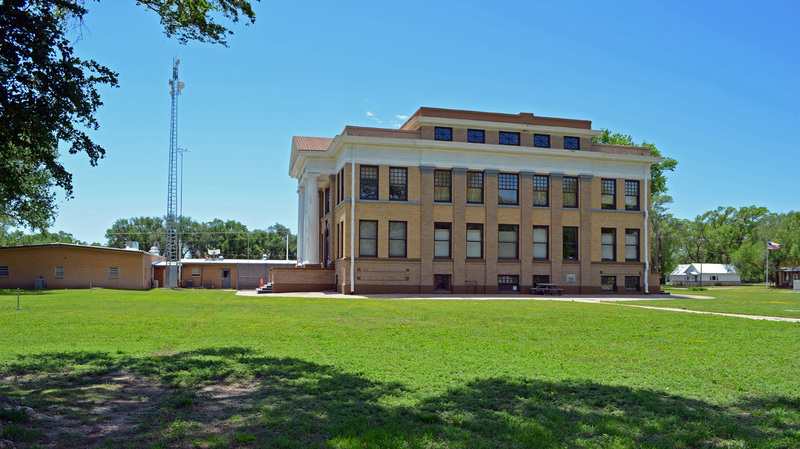 It is in the rolling plains part of the Panhandle, east of the Texas High Plains. 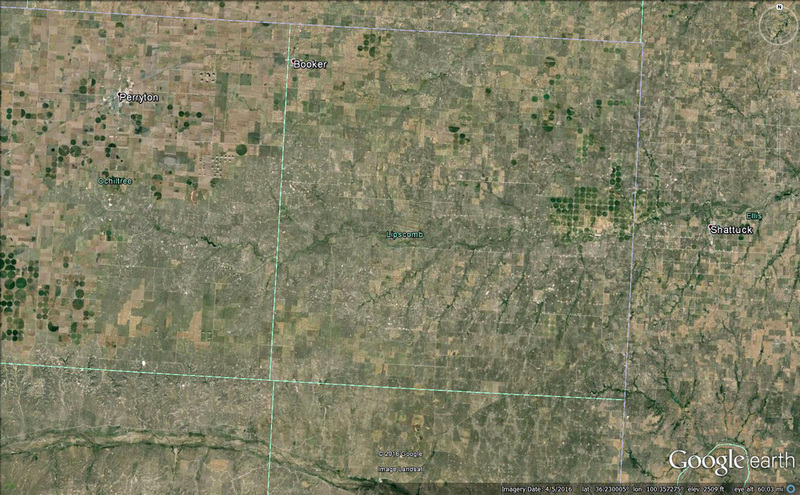 The central and southern part of the county are either rolling plains or very broken country. 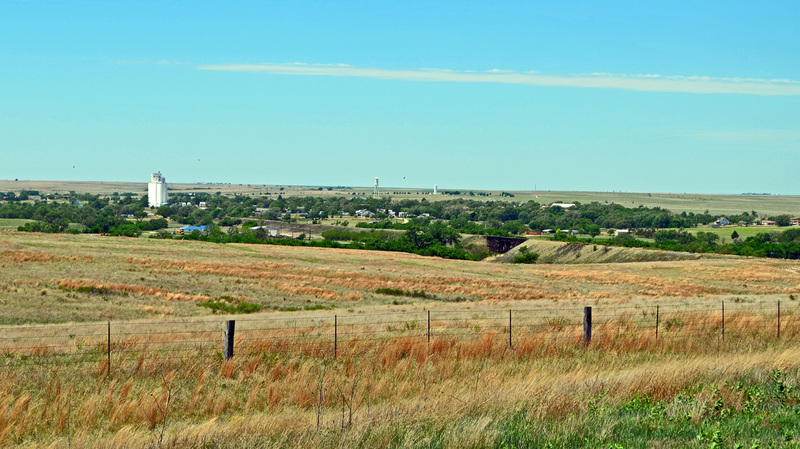 The northern section is flat or slightly rolling. 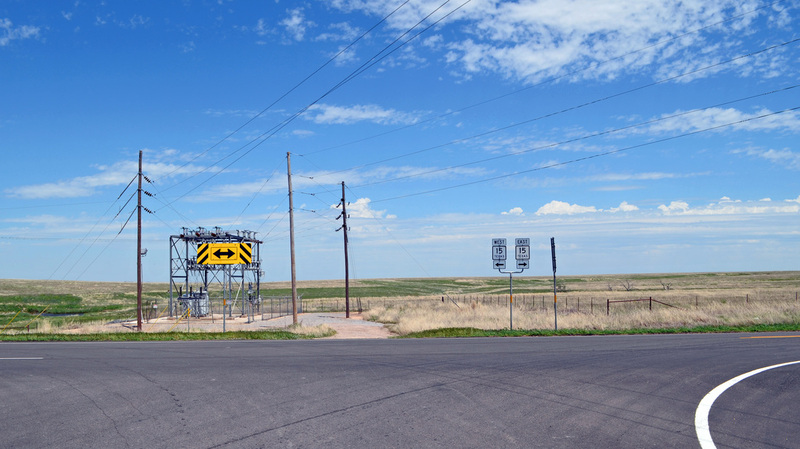 Oil and gas reserves are found in the county. 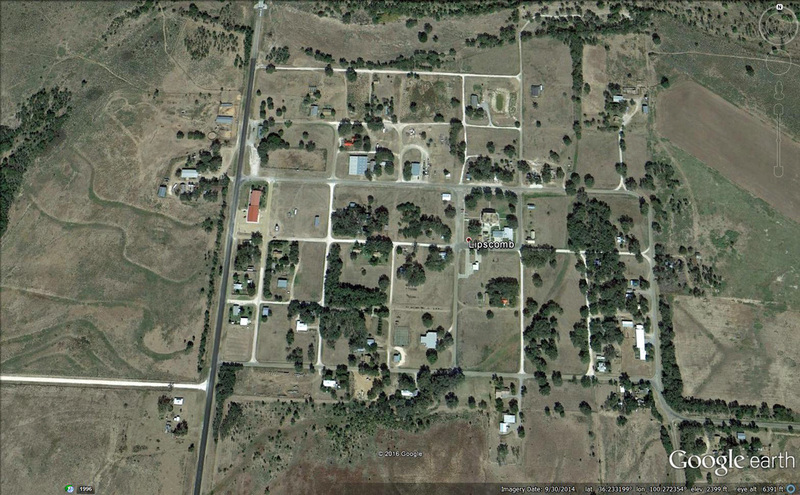 The elevation ranges from 2,350 feet to 2,850 feet above sea level. 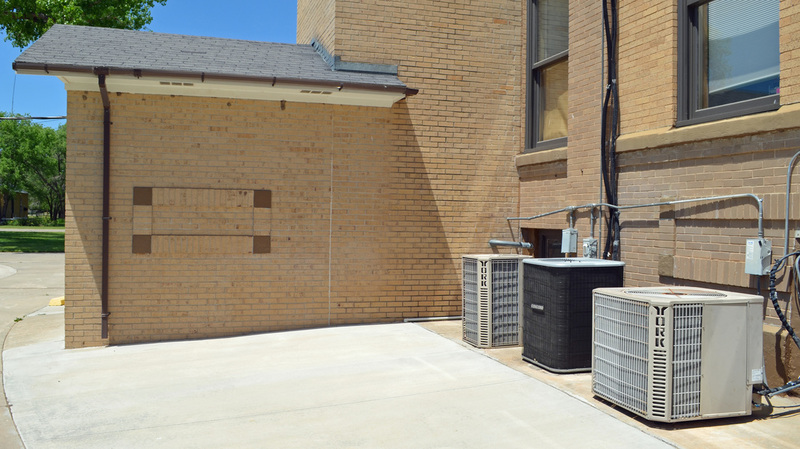 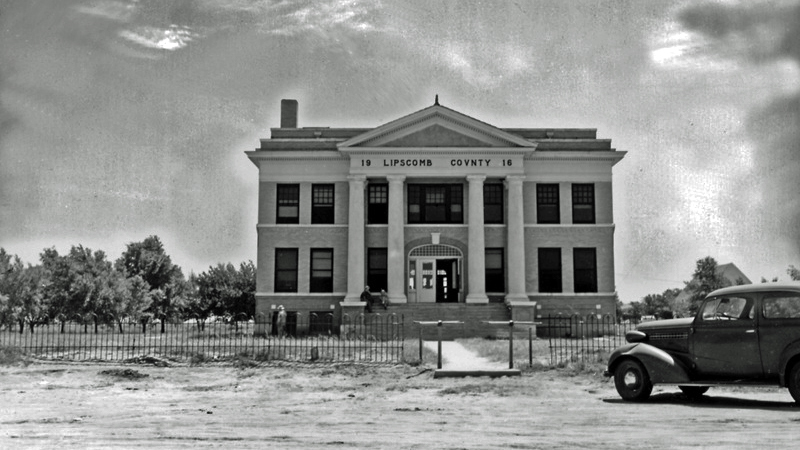 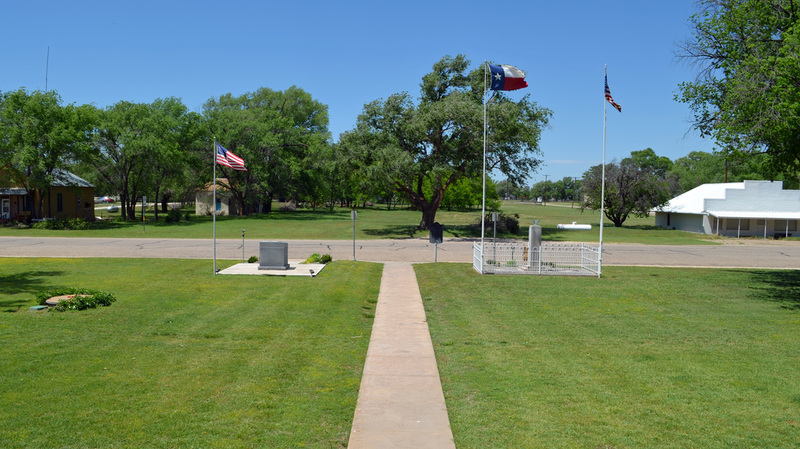 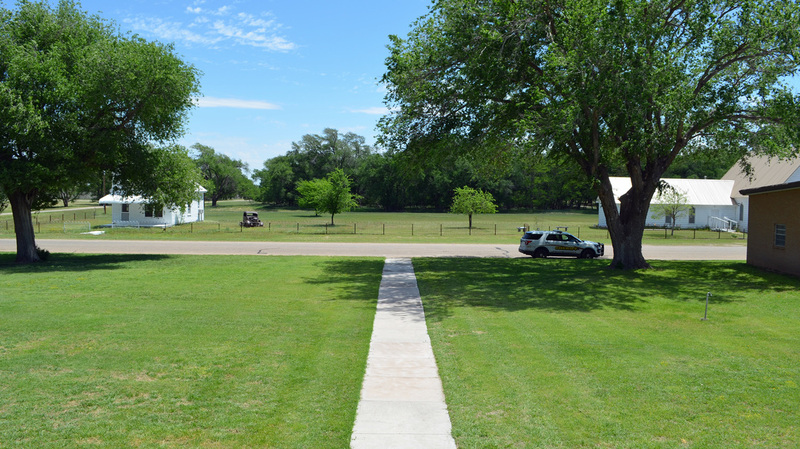 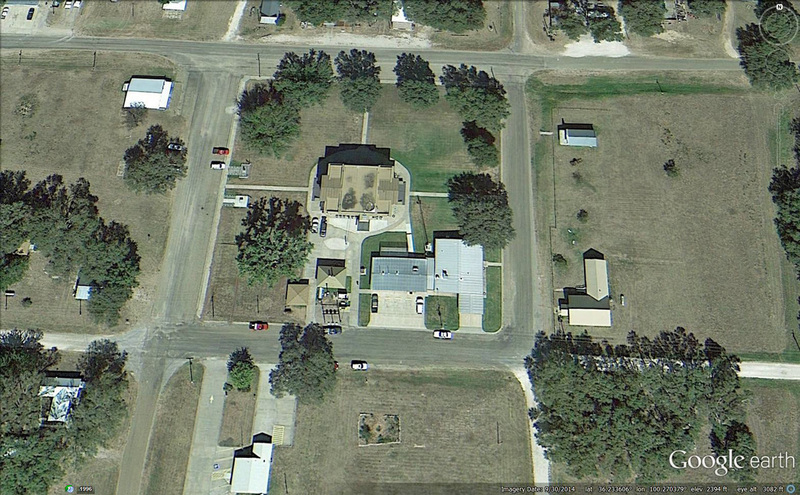 "Lipscomb County was formed by the Texas legislature in 1876 from the Bexar District. 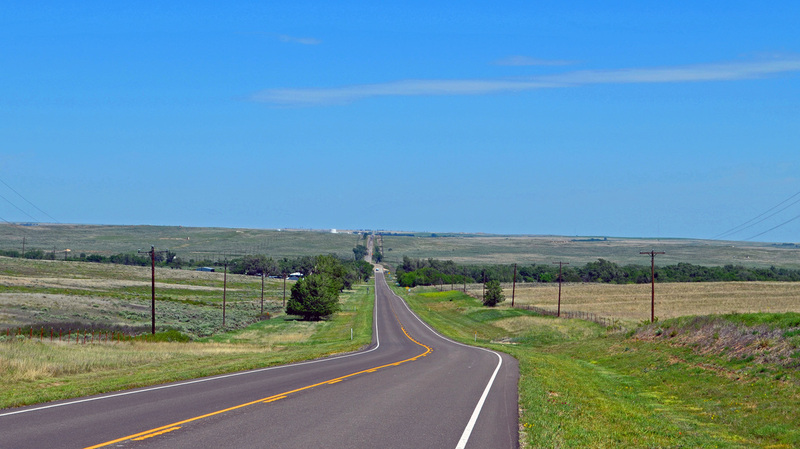 The county, named for Abner S. Lipscomb, embraces 934 square miles of level, rolling, and broken countryside. 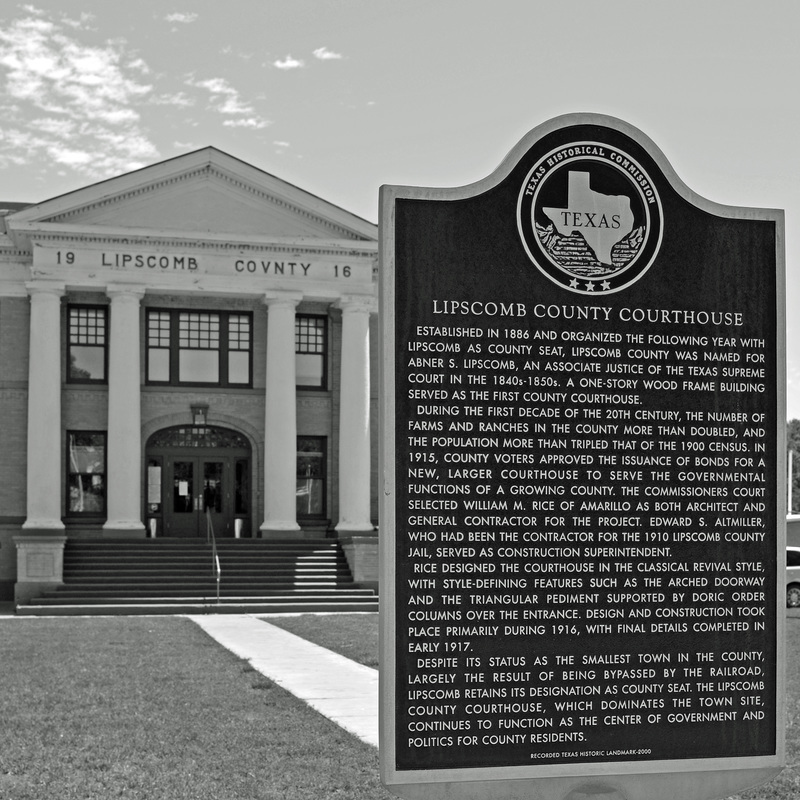 "The first town in the county, Lipscomb, was platted in 1887 in anticipation of the arrival of the railroad. 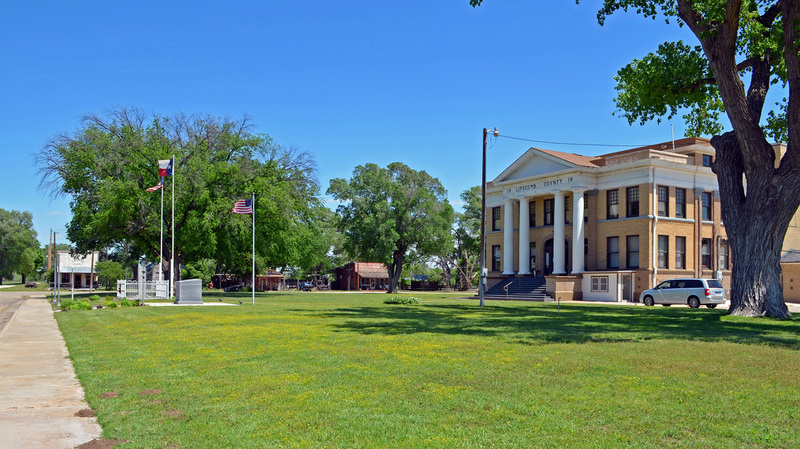 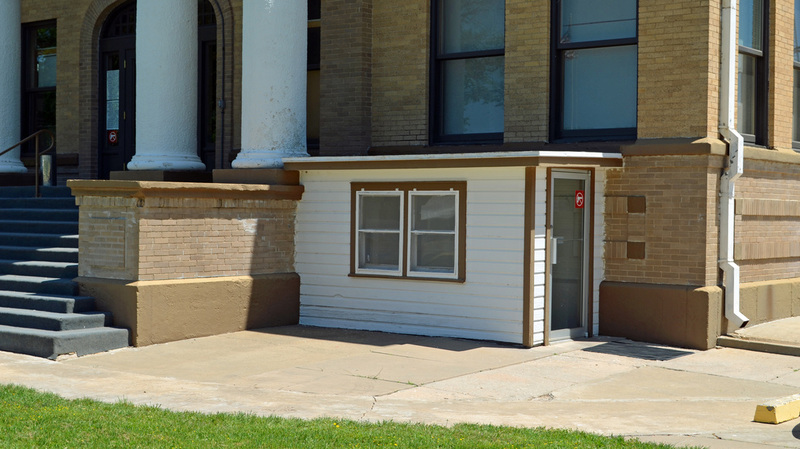 When it was learned that the railroad would miss the site, local residents decided to protect their town by making it the county seat. 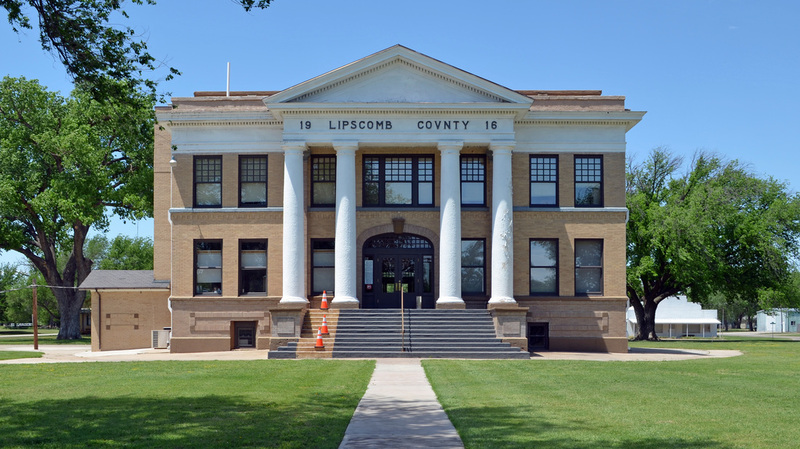 As a result, the populace voted to organize the county in June of 1887 with Lipscomb as the county seat. 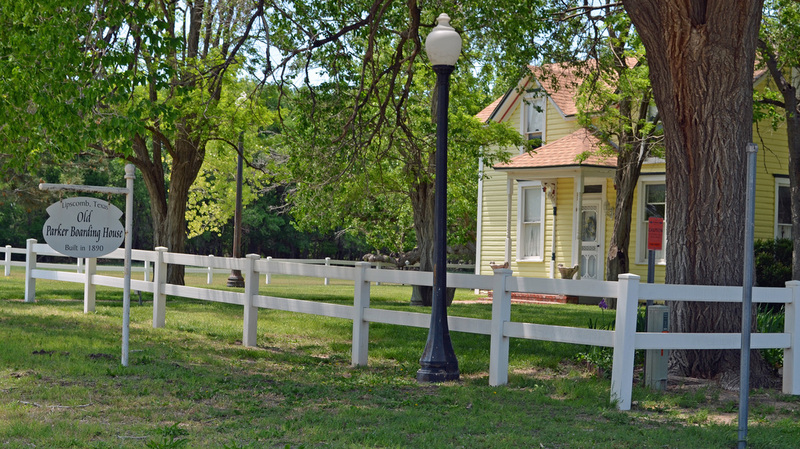 When the railroad entered the county later in the year, land promoters laid out Higgins on the right-of-way. 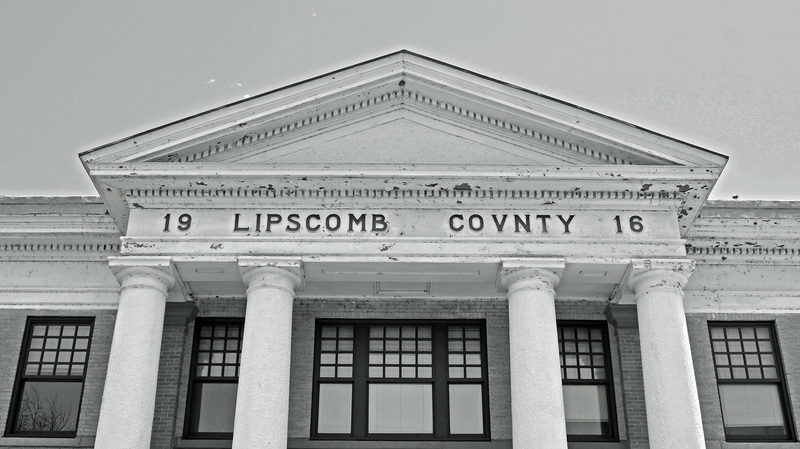 Higgins soon grew into the county's largest town and trade center, but Lipscomb remained the county seat. 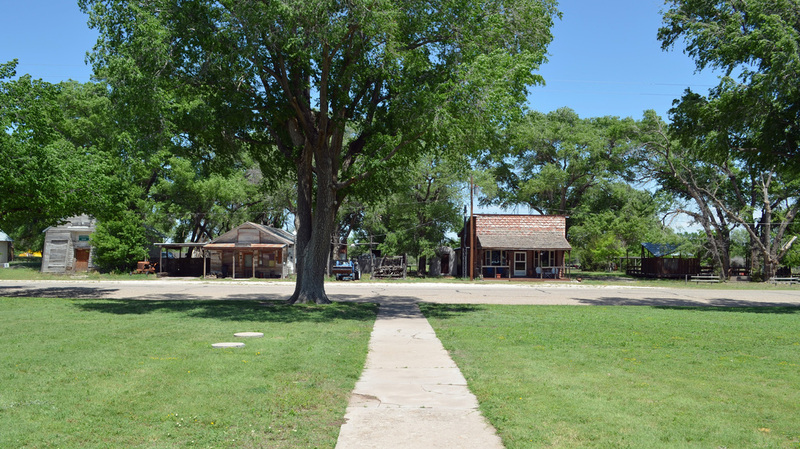 The construction of a second railroad, the North Texas and Santa Fe, through the county brought more settlers. 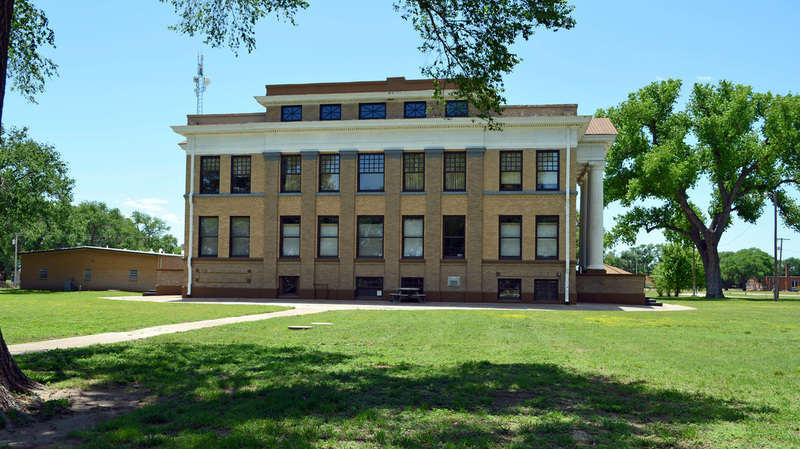 This railroad, which ran from Shattuck, Oklahoma, to Spearman, Texas, crossed into northern Lipscomb County by 1920 and engendered the farming towns of Follett and Darrouzett in 1917; another town, Booker, was established on the line in 1919." 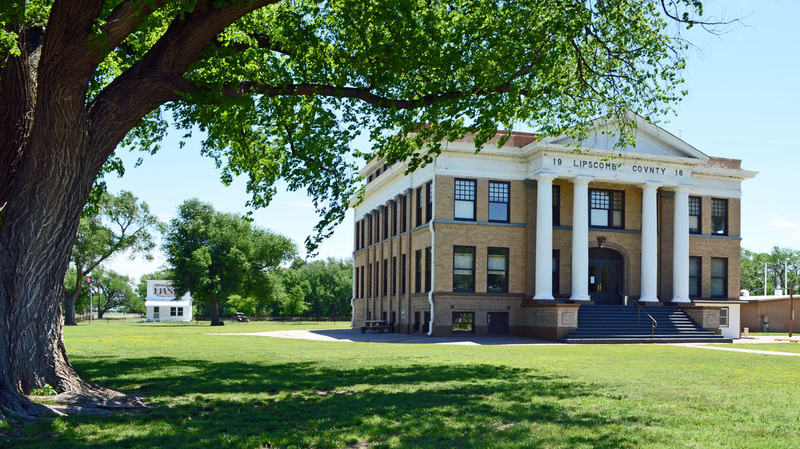 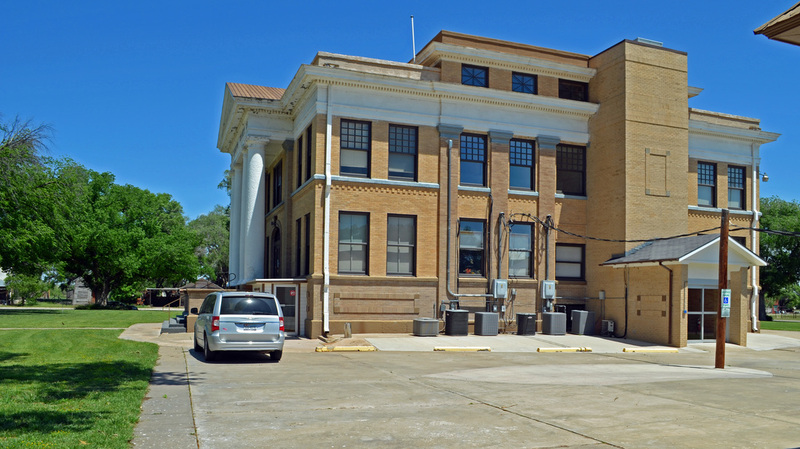 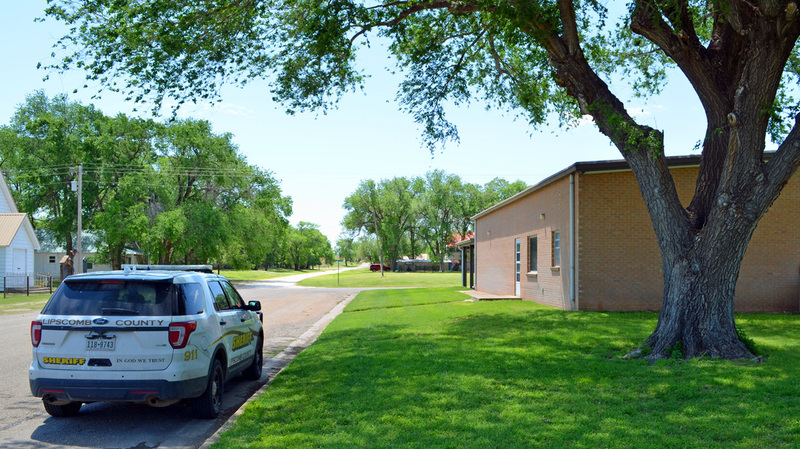 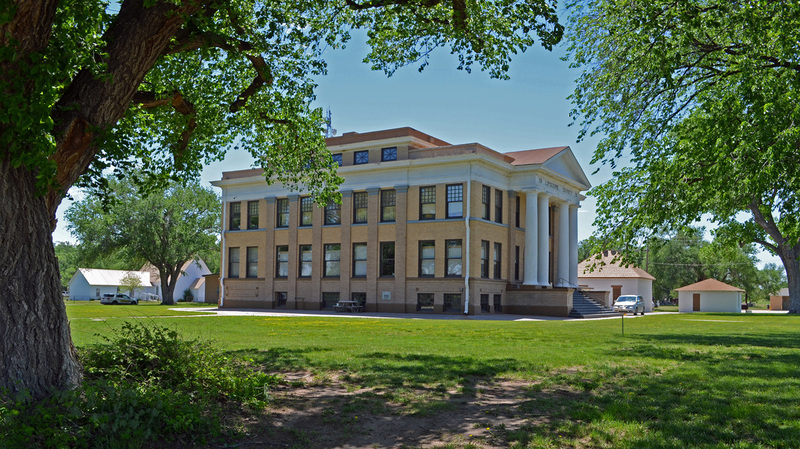 Handbook of Texas Online, Donald R. Abbe, "Lipscomb County"
I visited Lipscomb County and photographed the courthouse in Lipscomb on May 7, 2016.